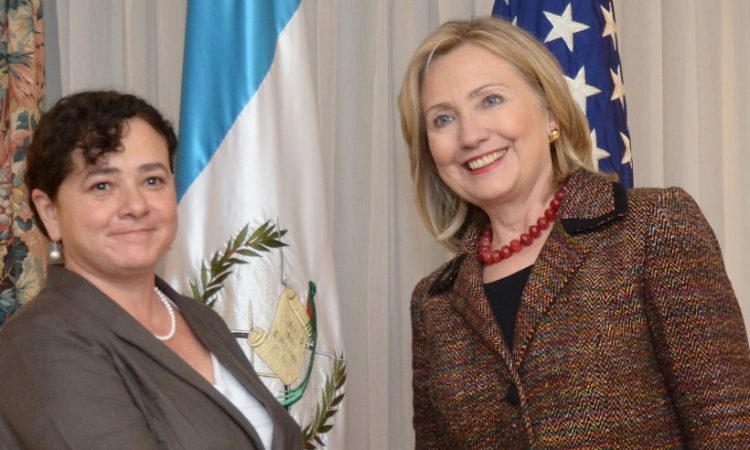 More than a year after resigning as secretary of state, Hillary Clinton telephoned the president of Guatemala and urged him to reappoint a cabinet official who the country’s legally established nominating commission had voted down. Speaking as a private citizen, Clinton went so far as to suggest that President Otto Pérez could find ways to influence the commission and secure a second term for Attorney General Claudia Paz y Paz, a personal favorite of Clinton’s. In Pérez’s divided government, Claudia Paz y Paz was the leader of the former guerrilla faction that was trying to pull the government in a Marxist direction. Several of her family members had fought on the side of the insurrection that tried to overthrow the government during the country’s lengthy civil conflict. Indeed, Paz y Paz’s father, Enrique Paz y Paz, had been a member of the guerrilla group that assassinated U.S. Ambassador John Gordon Mein in 1968–though the extent of the older Paz y Paz’s involvement in the assassination itself is unknown. Former President Pérez disclosed Clinton’s phone call and other matters in a wide-ranging interview with two representatives of The Daily Caller. We met with Pérez at the Mariscal-Zavala military base on the outskirts of Guatemala City, where the former president is now confined while he awaits trial on charges of official corruption. He faces a possible 25 years in jail. We had arranged to meet Pérez through his lawyer, who had not been able to give his client advance notice of our coming; so for the ex-president, the meeting was a spontaneous occasion. Despite the surroundings, we had no trouble seeing how Pérez had been a head of state. His appearance was trim, his manner good-humored and purposeful. We asked our questions in English and Spanish, while Pérez gave his answers in Spanish. He talked at length about his case and the forces behind it. When we asked about Hillary Clinton, he went straight to the story of her phone call. According to Pérez, his answer was: “This isn’t up to me. It’s an official process. There is a nominating commission that will give me a list of candidates.” The commission was made up mostly of Guatemala’s law school deans. Did Clinton suggest that he use his power to influence the commission? Paz y Paz did not make the commission’s list. Her official actions had incited controversy. She had been publicly accused of giving illegal orders to her own prosecutors, as well as to the criminal judges of the capital district. Paz y Paz had also been sued by a former prosecutor, the victim of an assassination attempt, who alleged that Paz y Paz had suppressed the investigation into the shooting. In its deliberations, Pérez’s commission on the attorney general’s nomination did consider the evidence that the former prosecutor had submitted to the commissioners. The commission was selective in the evidence it reviewed, rejecting many submissions. Now, two years later, when we asked Pérez about the prosecutor’s case against Paz y Paz, he reluctantly conceded it would have been cause for him to remove the attorney general. Pérez did not give a second term to Paz y Paz, as Clinton had asked. Instead, he appointed Thelma Aldana, a high-court justice who was on the list that the commission had submitted. Paz y Paz, after leaving office, was invited to come to Georgetown University as a visiting scholar. She joined the staff of the Georgetown Institute for Women, Peace and Security, which Hillary Clinton had established during her tenure as secretary of state. Pérez, who had no patronage in the US, was not to enjoy so agreeable a fate. The year after his phone talk with Clinton, Pérez was indicted on charges that had their origins in another commission, this one with close ties to the United States: the CICIG, or the International Commission Against Impunity in Guatemala. The commission’s mandate is subject to periodic renewal by Guatemala. Since 2007, it has gained one extension after another from successive Guatemalan governments, and has enjoyed a corresponding expansion of its authority. The result, he said, was a huge influx of children into the US from the so-called Northern Triangle countries—Guatemala, Honduras, and El Salvador. It also served, he suggested, as the pretext for a US political intervention in the Northern Triangle countries, with his government as the main target. The aid package, Pérez suggested, contained a Trojan horse. It was conditioned on “the permanent presence” of the CICIG, an institution which Pérez frontally called a “tool” of US policy. 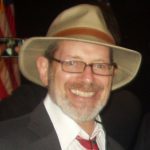 In Pérez’s account, the ambassador of the CICIG was Vice President Joe Biden, who visited Guatemala three times during the final year of Pérez’s presidency. At one of their meetings, according to Pérez, Biden spoke only about the CICIG. “He told me that, in the view of the United States, there was only one road for Guatemala, and that was for the CICIG to stay. It was important for the relationship, important in the plan of the Alliance for Prosperity, and important for the battles they were waging. Four months later, the CICIG repaid Pérez by charging him with official corruption. The CICIG had earlier made similar charges against Pérez’s vice president, Roxana Baldetti, who was arrested on August 21, 2015. That same day, the justice ministry also indicted Pérez. About a week later, congress fell into line and voted unanimously to strip Pérez of his official immunity. Pérez told us he wants his day in court. Justice, he said, is not the thing he fears. Perhaps because he is a former military man, he shunned the personal drama and couched his feelings in the third person. Previous Post:¿Será Obama acusado por traición por intervenir en Guatemala? Next Post:Is Guatemala’s Attorney General a Woman of Courage, or Compliance?